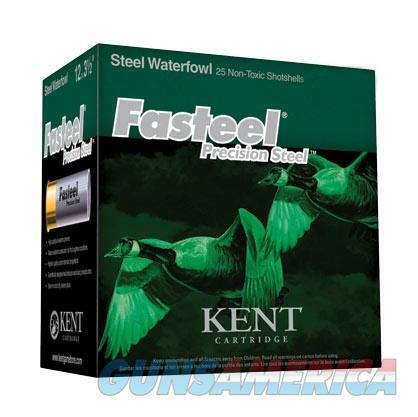 Kent Upland Fasteel? delivers hard-hitting performance and consistency with non-toxic steel loads. Fasteel gives you the high velocity and pellet sizes ideal for game birds from pheasant to chukkar, bobwhites to grouse. Fasteel in your gun gives you an extra edge to help ensure your day in the field ends well. 25 shells per box.